We are pleased to introduce to you our SFIDA Southern France trip, covering the best riding in this part of the hexagonal country. We will ride through the intriguing Cevennes/Gorges du Tarn region, with its endless roads and small towns. The Mount Ventoux has been on the top of any cyclist’s bucket list, now SFIDA Cycling is giving you the opportunity to climb it…one, two or three times. The Cingles du Mount Ventoux challenge is waiting for you! and who better than us to give you the support and advice to conquer this once in a lifetime adventure. The end of the SFIDA Southern France trip would be the start of another amazing series of incredible rides. The landscape here changes from dry to Alpine just in a few kilometres. Les Zinzins de Turini will be the last challenge we take you in, climbing this mythic col from its three sides is another great adventure! Join us on the toughest SFIDA Cycling trip yet, we are here to help you! Meet the SFIDA Cycling staff at Nice Airport (NCE) or at the designated hotel. We will transfer to Le Rozier, in the very heart of the Cevennes/Gorges du Tarn where we will spend the first couple of nights of our trip. 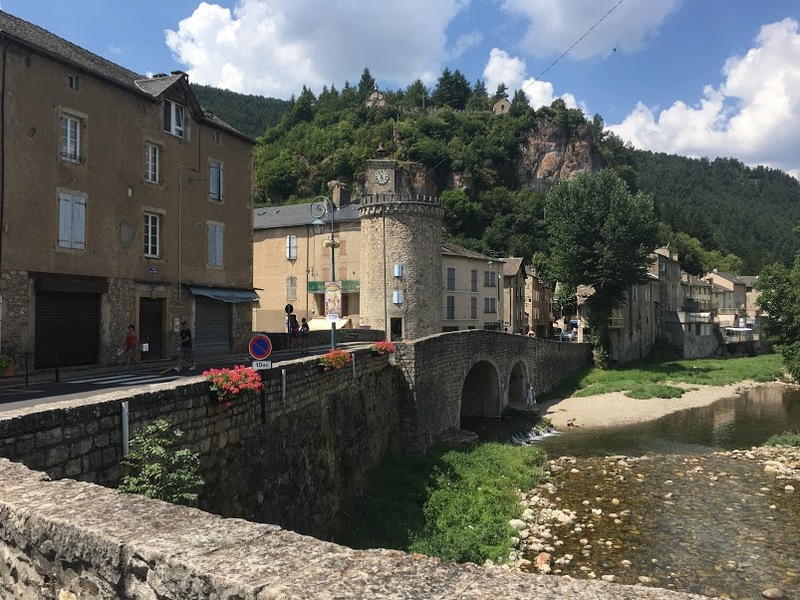 After our orientation meeting, lunch and build up bikes we will ride to Le Truel and do a loop returning via Les Vignes, a good introduction to the Cevennes/Gorges du Tarn landscapes and roads..
A great loop (literally) around the Cevennes/Gorges du Tarn. 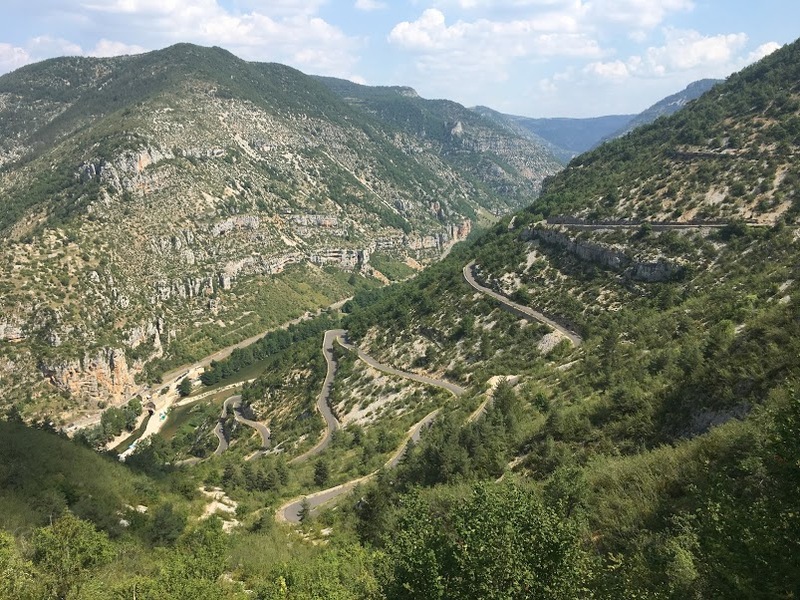 Today we start our ride along the Gorges du Tarn before starting the first climb of the day, the Causse de Sauveterre.The Causses are short climbs between 5 to 8 km that connects from the gorges up to the Cevennes plateau. Continuing on a panoramic road we descend to La Malene, one of the many picturesque little towns that abound in the region. 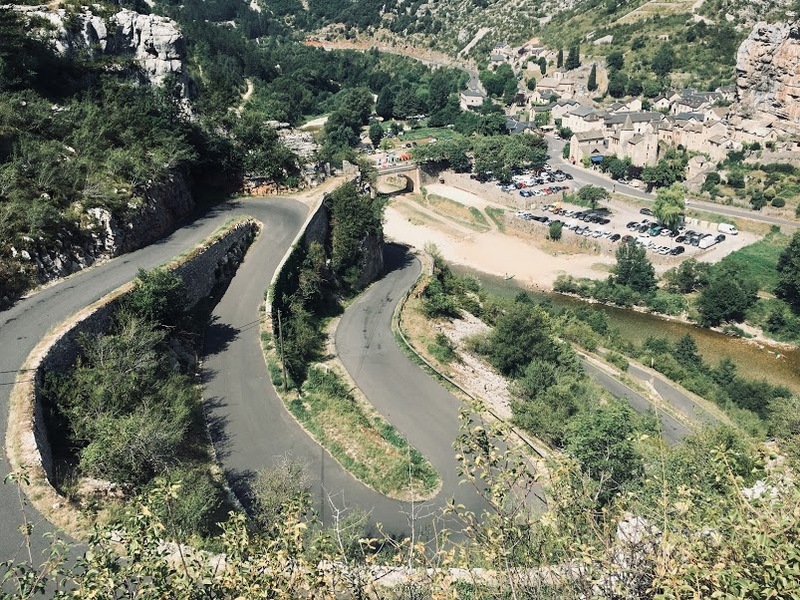 This is a very nice climb, with a good number of switchbacks, the higher you go the better are the views over the Gorges du Tarn and La Malene. a nice and steady road that will take us to Meyrueis. 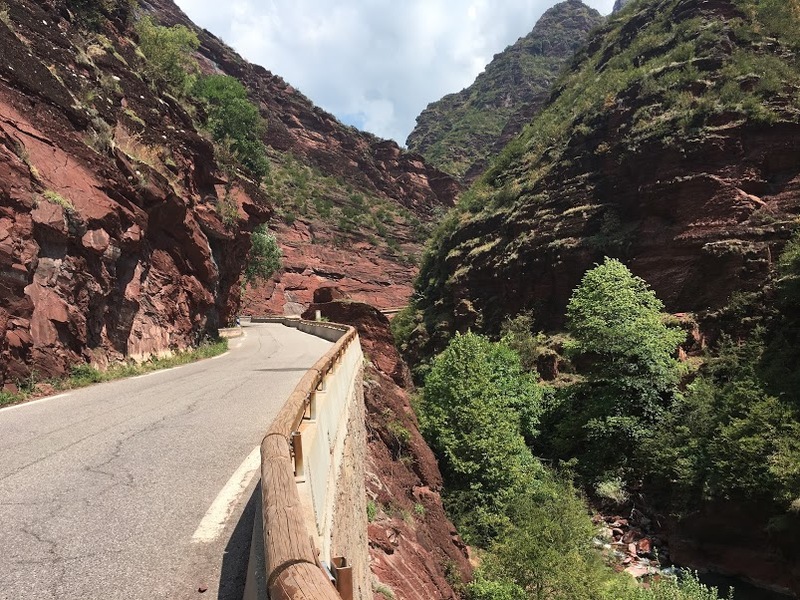 Riding along the spectacular Gorges de la Jonte we arrive back to Le Rozier. CLIMBS: Causes de Sauveterre, Mejean (La Malene) and Montbrun, Col de Perjuret. Riding through the Mont Aigoual massif. The first of a series of big days planned for this trip. Crossing the Cevennes from West to East, first we climb the Causse Noir from Le Meynial. From here we continue always uphill until we reach the top of the Mont Aigoual via the Col de la Serreydere. The mighty Mont Aigoual, at 1,567m, is the highest mountain in the area and can be seen from nearly all the directions. CLIMBS: Causse Noir, Col de la Serreyrede, Mont Aigoual, Col du Pas and Col d’Uglas. After some great and challenging riding in the Cevennes and the transfer to Provence, today we will have an easier ride in preparation for tomorrow’s ride. From our comfortable hotel in Malaucene we will ride up to the Col des Astauds, followed by the Cote de Bluye and Col de Fontaube. All with very gentle inclinations and on quiet secondary roads. Definitely a great way to spend our first day in Provence. CLIMBS: Col des Astauds, Cote de Bluye, Col de Fontaube. The Cingles du Mont Ventoux, the ultimate triple climb. Today we will climb the Giant of Provence, the Mont Ventoux. We propose to try and go for the Cingles, so, to climb this epic mountain from it three possible ways. Starting from Malaucene side, followed by Bedoin (the route normally used by the TDF) both sides are 21km an average 7.5% gradient. Third and last will be the Sault side, considered the “easiest” one, it is also the longest one at 25.5km with a 4.5% gradient. We will be supporting you during all this amazing riding day! CLIMBS: Mont Ventoux from Malaucene, Bedoin and Sault in this order. Transfer and recovery ride day. After taking on such an amazing challenge like the Cingles du Mont Ventoux, today we are travelling by van to Saint Paul de Vence, in the Cote d’Azur region. In the afternoon we plan to do a recovery ride around the Gorges du Loup and surrounding area, a great way to get ready for our Grand Finale rides in the Alpes Maritimes. Five Cols and an amazing ride! From our start in Vence to our destination for the day in Puget Theniers, we will climb five Cols and ride in some very scenic roads. To end our ride, the Col du Trebuchet before taking a very narrow and panoramic road that will take us to the start of the Col de St.Raphael. From there is all downhill to Puget Theniers. CLIMBS: Cols de Vence, de Bleine, du Buis, du Trebuchet, de St.Raphael. Two long climbs, amazing landscape changes! Today we are doing “only” two climbs, but a couple of amazing ones! 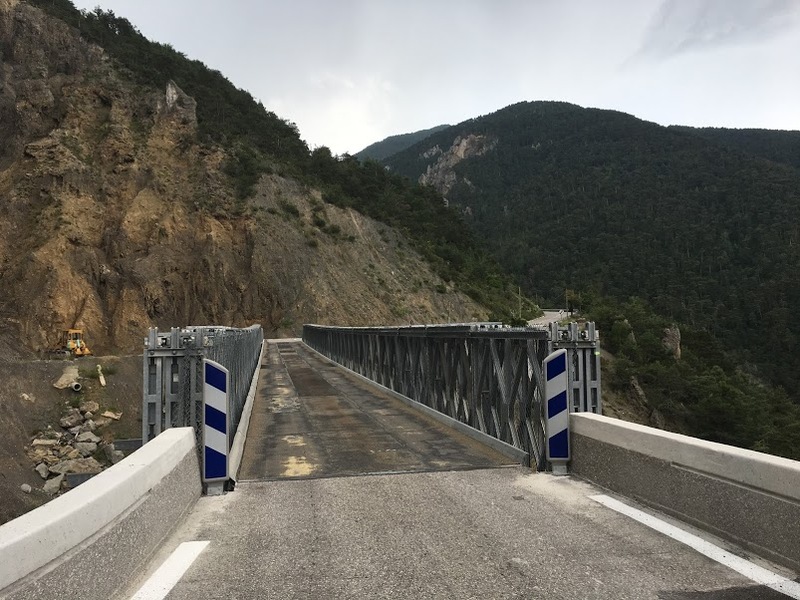 After a short flat section to Pont de Cians we will start our ride up to the Gorges du Cians, part of the Valberg climb. 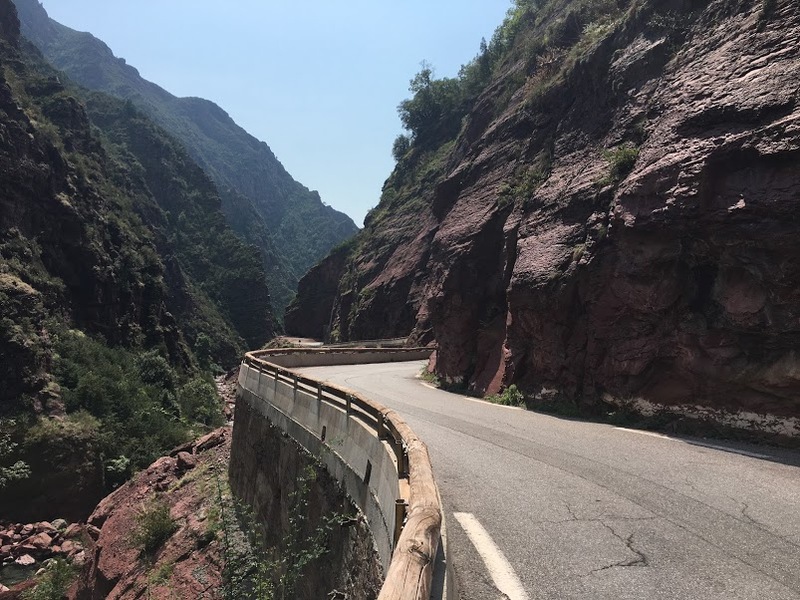 The change of landscape from the start of the climb to the top is one of the most amazing you can experience, from hard and red coloured rock formations, narrow stretches with very vertical drops to the Alpine views on the final kilometres into Valberg. CLIMBS: Valberg, Col de la Cayolle. Col de la Bonette: highest paved road in Europe. Col de la Bonette, at 2,802m stands as the highest motorable road in Europe. From Jausiers is a 23km ride at 7% average and with 1,600m of elevation gain. Definitely a big climb! After conquering the Bonette we will descend and ride along the Tinee valley, part of the Mercantour N.P. This is a long ride until our turn left to La Tour and up to La Madone d’Utelle, a very scenic climb on a narrow road. Descending via de Gorges de la Vesubie up Pont Durand where our longest ride of the trip will end. A short transfer will take us to our hotel in Nice where conveniently we will spend the last two nights of the trip. CLIMBS: Col de la Bonette, La Madonne d’Utelle. Gran Finale: Col de Turini….three times? are you kidding Tony? We are ending this epic trip riding Les Zinzins de Turini, climbing the three sides that reach the top of this famous mountain in the Alpes Maritimes. Expect an endless succession of switchbacks is some of the sections! A short transfer to L’Escarene to start our first climb of the day, this way, via Luceram and Lacets de Baisse Cabanette, is the longest, 26.6km long at 4.7%. Second in order is the Bollene-Vesubie side, 12km long at 7%. Third and last, the Sospel side, probably the most classic one, 24.3km long at 5.2%. We hope this is a great end to this trip in Southern France’s most interesting regions. CLIMBS: Col de Turini from L’Escarene (via Lacets Baisse de la Cabanette), Bollene-Vesubie and Sospel, in this order. After breakfast transfer by van to Nice airport (NCE). Expect to get there by 10:00, so plan your flights accordingly. Cingles du Mount Ventoux inscription.